Hugs for Hailey: Walking in Style!! On Hailey's Amazon Wish List I came across an item that looked extremely interesting to me. 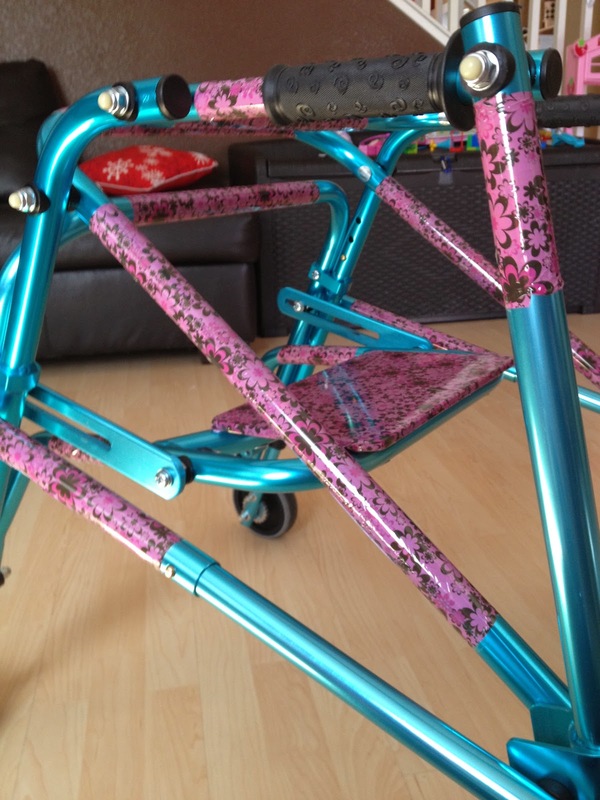 Ever since Hailey received her much needed new walker she has repeatedly asked me, "why it's NOT pink?" Trust me, if it came in Pink I would have asked for a pink one, but it did not. There is an item available for such a request. 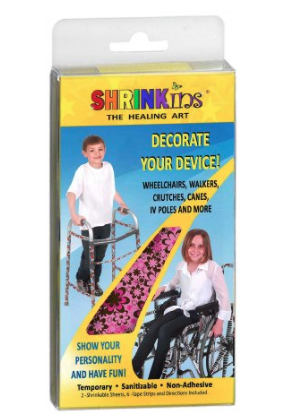 It's called SHRINKins. With this item you are able to decorate your device. 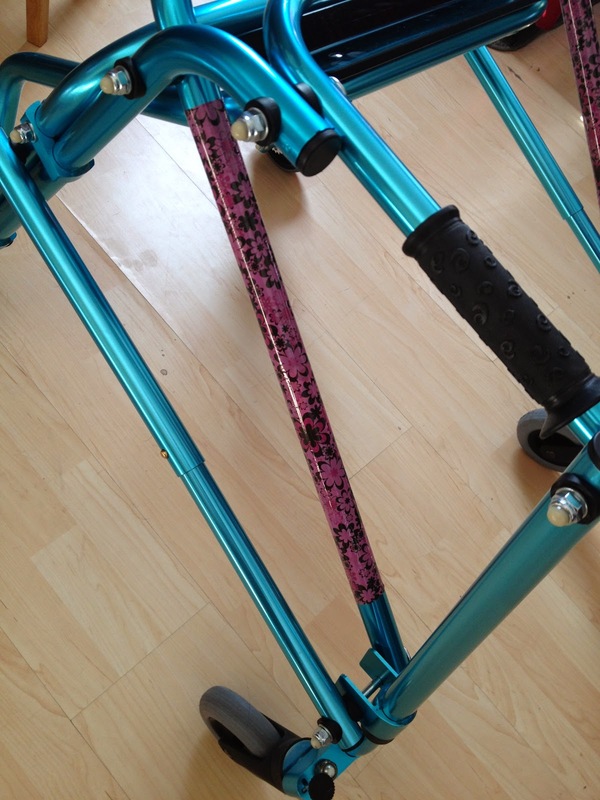 It can be a Wheelchair, a walker, crutches, or even a cane!! They are easy to add, temporary, and sanitizable. We were thrilled when we received this for Hailey's birthday. I was more excited to get this placed then anyone. First you start off with your NOT pink device. In our case it was Hailey's walker. Get everything you will need ready. The box with the wrap also comes with tape. I also needed my scissors and a hair blow dryer and I was ready to go! I measured what I needed, wrapped it around the metal. Placed the tape, and heated it until it shrink wrapped itself onto the walker! I got the hang of this very fast and I looked for every bare spot that I could wrap! Everything was looking great! I even finished up by doing the seat last. I wanted to make sure I had everything as covered as I could get. In the end I did need to use 2 packs to get this walker complete. Online it said I should have only needed 1, but that wasn't my case! And abracadabra....IT'S DONE and it's PERFECT!! 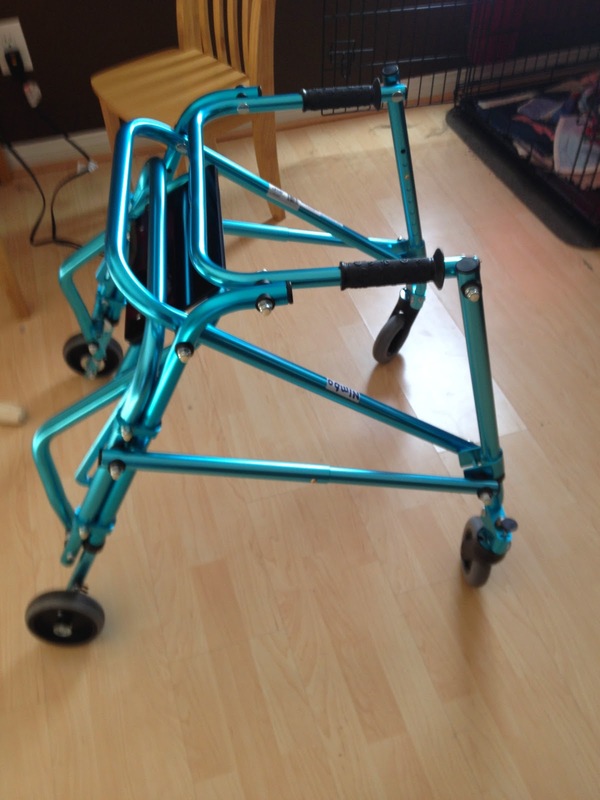 Hailey came home and asked me where I bought the new walker. I told her that her friends and family on Facebook sent this to her for her birthday!! 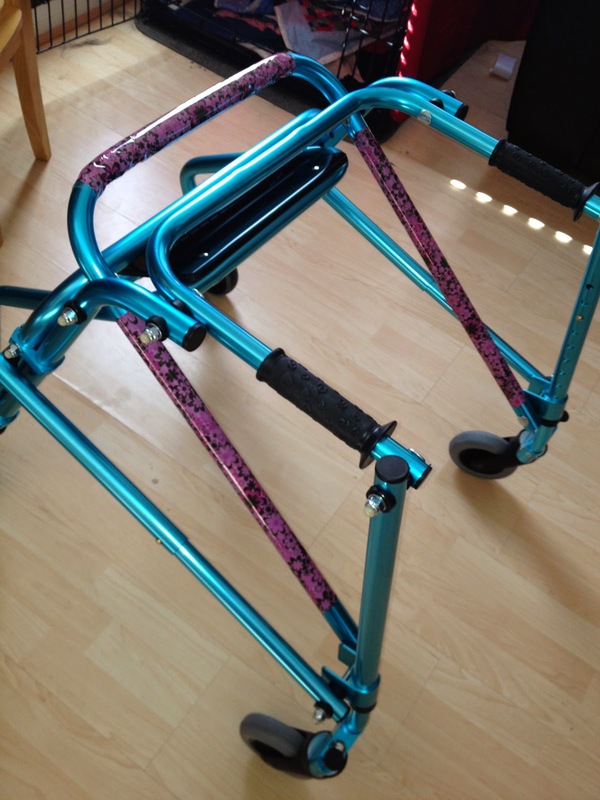 I have one happy girl with a pretty semi-pink walker. 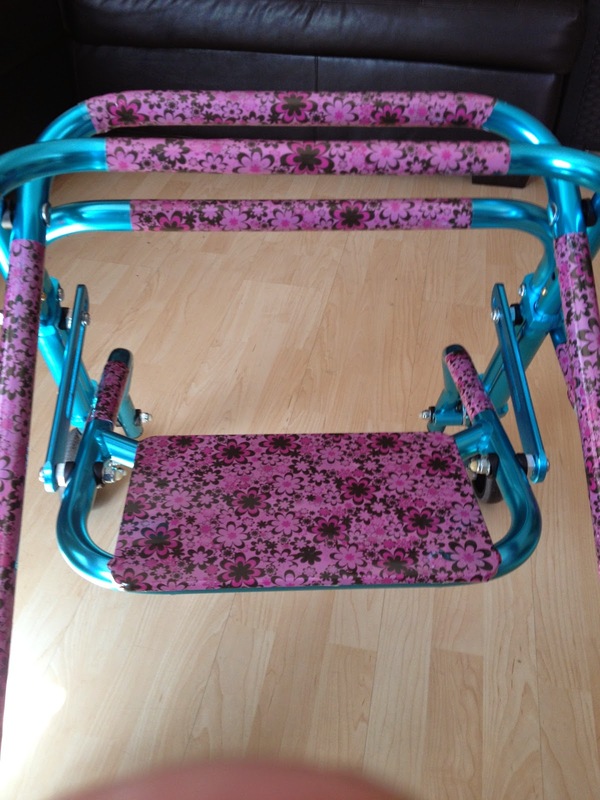 Thank you to the Lies and Crossman family for purchasing this for Hailey! It's an amazing item that I'm glad to be able to share with others! I know more kids will have smiles on their faces soon!